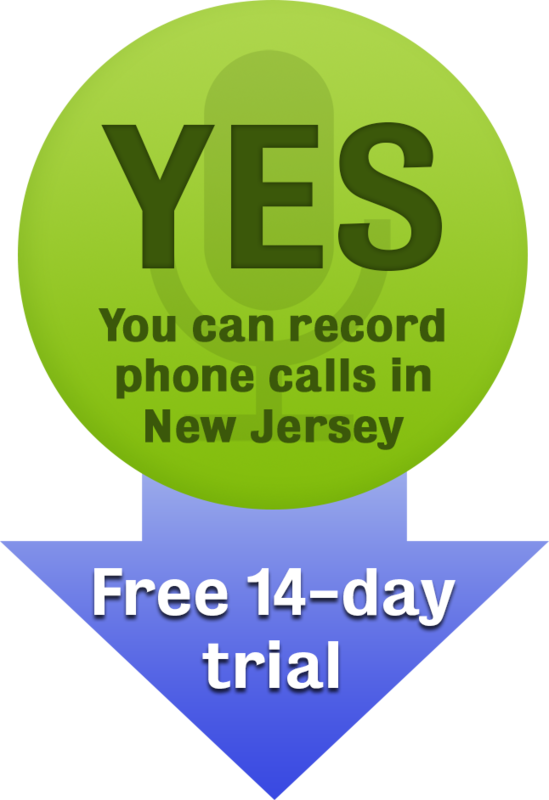 Is it Illegal to Record Calls in New Jersey? New Jersey is one of the states that have “one-party-consent” law with regards to wiretapping or recording phone calls within the state. The statute, N.J. Stat. 2A156A- 3- 4 states that, “it is a criminal offense to intercept or record an in-person telephone conversation unless one party to the conversation consents to it.” In this regard, no consent is needed if you happen to be one of the parties to the conversation. However, if you intend to record a conversation to which you are not a party, then you must obtain consent from at least one of the parties. Failure to do so will be in violation of the statute. When one of the parties is not in New Jersey – the law only applies if all the parties are in New Jersey at the time of the recording. Suppose one party is outside New Jersey, they may be bound by the wiretapping statutes of that particular state which may not be a one party consent. See the full list of states also with one-party consent laws. If the communication is intended to be used as evidence in a court of law – though it may not be technically legal, there are rules of evidence that may preclude you from using evidence collected in this manner during trials. The New Jersey statute does not specifically nominate the type of gadgets or equipment that can be used to record phone calls. You are thus at liberty to make your own choice, and Secure Speak provides you with an easy and efficient way of recording phone calls in New Jersey. With it, you get a phone number that you can 3-way into any call, which records whatever it hears. When the call is over, the recording is sent directly to your email address. Sign up today and start a 14 day free trial to see how easy it is. Secure Speak is not a licensed lawyer and any statements do not constitute legal advice. Contact a lawyer for information pertaining to your specific case, and reference New Jersey Statute 2A156A-3 directly. Posted 3:44 am by Secure Speak & filed under Legal.